Dr Angelakis studied physics in Crete, Greece for his undergraduate and MSc studies and then moved to UK and Imperial College for his PhD. Throughout his studies he has been supported by competitive scholarships by the Greek State scholarship foundation (IKY). 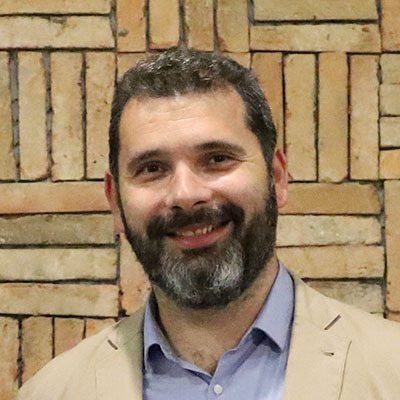 While in Imperial, Dr Angelakis received the “UK Quantum Electronics PhD thesis prize” from the Institute of Physics UK, as well as the “Valerie Myescrough Prize” from the University for excellence in research. At the third year of his PhD studies he was awarded a highly competitive postdoctoral research fellowship in St Catharines College Cambridge (JRF). The latter he held in the Department of Applied Mathematics and Theoretical Physics and the Centre for Quantum Computation Cambridge until 2007. In 2007 he moved to Technical University of Crete initially a lecturer position now an associate professor with tenure. In parallel to his position in Crete, he has been leading a research group in the Centre for Quantum Technologies (CQT), National University of Singapore. He has also held visiting professor positions in various prestigious institutions such as the Kavli Institute of the Theoretical Physics in the University of California in Santa Barbara (autumn 2015) and the Quantum Information Group in NUS for several years. He has published more 50 papers, with a total of more than 1900 citations and , Η=21, i10=29 including papers in Science and several in Physical Review Letters. His works have attracted the interest of experimentalists and high-tech companies. Among his current collaborations are with Quantum Lab of Google for quantum simulations with interacting photons in their superconducting qubits chips.has written an invted review article for IOP Reports in Progress in Physics, and also edited two volume for Springer in the area of Quantum Computing and Quantum Simulations (2017). He has also been invited to deliver more 40 talks in international meetings including the annual American Physical Society meeting, the KITP workshops in theoretical physics, and the ICTP workshops. He has also delivered more than 40 invited seminars in universities and research institutions worldwide. For his research activities, he has raised the equivalent of more than 2.5 million Euros in UK, Greece and Singapore. He has served as evaluator of research proposals for the ERC Starting and Consolidator Grant scheme, European Young Investigator Award Scheme, the Netherlands Organization for Scientific Research, the Polish Research Council and the Swiss Research Council among others. He has also served in various faculty committees in St Catharine’s College,-University of Cambridge, the Technical University of Crete and the Centre for Quantum Technologies Singapore. He has successfully supervised a number of MSc students, several postdoctoral scholars, two PhD students and currently advising three more PhDs and three postdocs. Awards he has received include the “Institute of Physics, Quantum Electronics and Photonics Thesis Prize” in 2002 for the best PhD thesis in UK in the field if Quantum Electronics and Photonics, the “St Catharine’s College Cambridge JRF in Physics” in 2001, the “Valerie Myescrough Prize 2000” for graduate students performance, and has been an IKY (Greek State Scholarship Foundation) scholar for the consecutive years 1993-1997 (undergraduate), and 1998-2001(postgraduate).